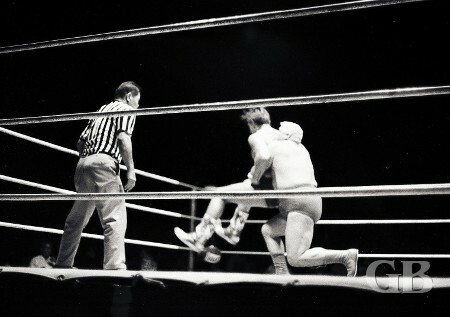 February 6, 1971: Saturday Night Mat Action at the Civic. Starting in 1971, promoter Ed Francis switched his weekly wrestling shows at the Civic Auditorium from Wednesday nights to Saturday nights to attract more fans and to use his Saturday afternoon TV show, "50th State Wrestling," to promote his wrestling card that night. On February 6, 1971 six matches were scheduled. In the opening match, Don Muraco won on a referee's decision over Masa Fujiwara. In other matches, Maddog Mayne defeated Beauregard with a "bombs away" and Dale Lewis won his two out of three fall match from Robert Duranton. The match between Sam Steamboat Mokuahi and Billy Robinson was called off when Robinson fell ill before the match and was unable to wrestle. Maddog Mayne stalks a dazed Beauregard around the ring. 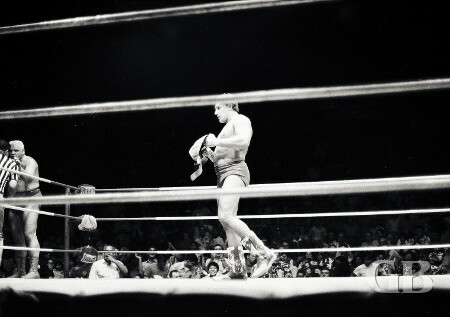 In the first main event, Curtis Iaukea, the current North American Champion, met Verne Gagne, the current AWA World Champion. Neither title were on the line for this match. Both wrestlers failed to gain a fall when the time ran out and the match was declared a draw. Verne Gagne knee drops a downed Iaukea. Gagne threatens Iaukea with a metal chair as the wrestlers confront each other outside the ring. 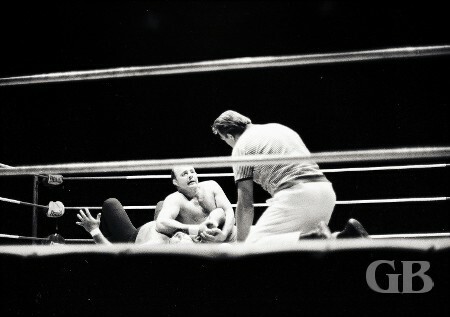 Verne Gagne tightens his arm bar on Curtis Iaukea as referee Pete Peterson watches. 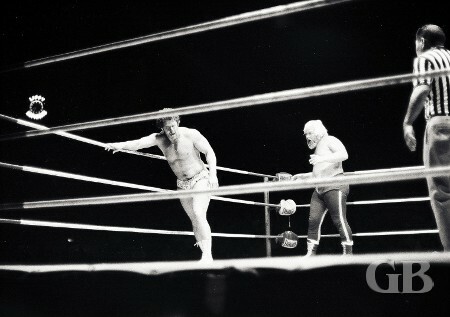 The other main event had Ripper Collins put his Hawaiian Heavyweight Championship on the line against Cowboy Frankie Lane. After both wrestlers split falls, Lane rolled up Collins and pinned him to become the new Hawaiian Champion. Ripper Collins applies the Atomic Drop on Cowboy Lane. Frankie Lane pins Ripper Collins to win the Hawaiian title. Cowboy Lane shows off his new championship belt as Ripper Collins argues with the referee outside the ring. After the match, Collins started complaining to the referee as Lane stood by. Maddog Mayne entered the ring and challenged Lane to give him a title shot. 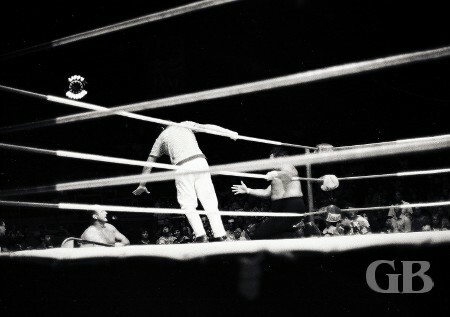 Lane accepted the challenge and two weeks later at the Honolulu International Center Arena, Mayne defeated Lane to win the Hawaiian title. After the match is over, Maddog Mayne attacks Lane from behind as the crowd reacts and Collins (background) continues to plead his case.